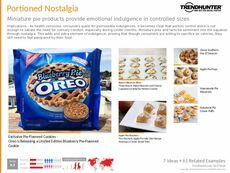 Find Better Ideas, Faster ® with a custom pie trend report, our PRO Dashboard and 80+ categories of premium trend reports. Showcasing innovative versions of apple, raspberry and pumpkin pies, the Pie Trend Report looks at the most popular flavors and patterns in pastry desserts. 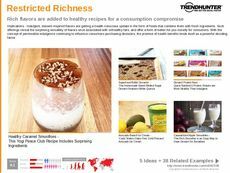 Exploring the ingredients, types of pastry and fruit favored in popular pies, the report takes interests into account like healthy eating or indulgent desserts for foodies. 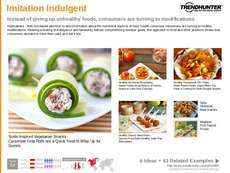 With these influences in mind, the report looks at recipes for gluten-free pies, dairy-free pies or decadent cheesecakes at the other end of the spectrum. This report provides recipes, flavor profiles and dessert ideas to inspire bakers, chefs, grocers, restaurateurs and brands in the food and beverage industry. 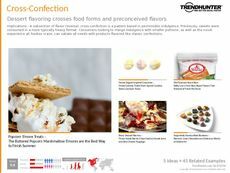 This food trend report is also a valuable resource for cookbook authors, baking television show crews and party planners. 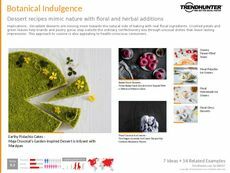 The Pie Trend Report provides insights into the top pastry desserts for different consumer tastes, including recipe ideas and trending ingredients for each season.